Are we legal residents of California now? Before hitting California, the most time we would spend in any one state was about a week or two, max. From August 7th until September 17th, we’ve been enjoying all that California has to offer – and it has a ton to offer! Our trip through the state had us visiting five national parks (Lassen Volcanic, Yosemite, Sequoia, Kings Canyon and Joshua Tree) and seven cities (Sonoma, San Fran, San Jose, Los Altos, LA, Irvine and San Diego). Whew, this Cali adventure has felt like a trip within a trip. I haven’t been writing many trip update posts lately, mainly because we have been doing so much and I’ve felt overwhelmed playing catch up (our life is hard, right!?). Also, the play-by-play of our trip just doesn’t seem that interesting to write about anymore. 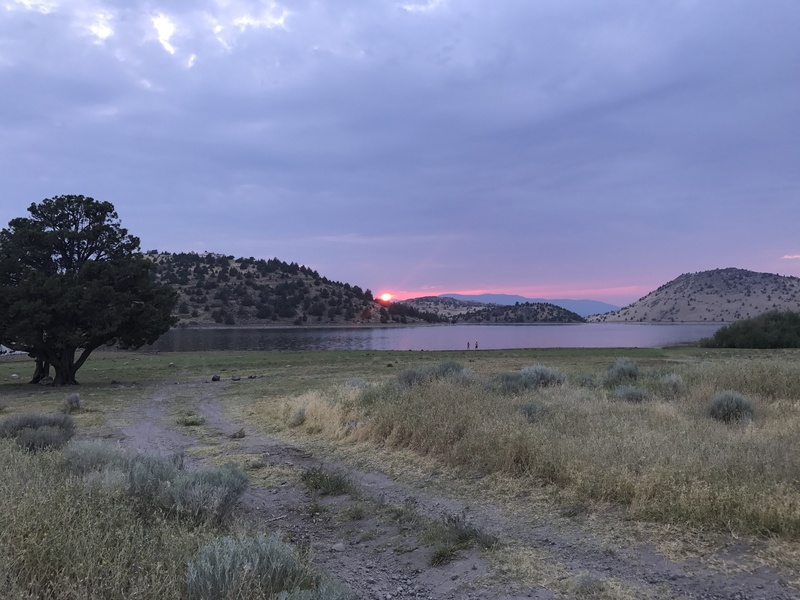 We’re visiting great places, finding beautiful camp sites and generally living a vacation like lifestyle – as much as one can do so with two little rugrats in tow. But is it really a vacation when it stops feeling like a vacation and starts feeling normal? It’s these type of thoughts that I’d like to explore more and more. Don’t worry, if there’s a good story to tell, I’ll do my best to tell it. Prior to setting out on this adventure, I would have thought that this is the life of one’s dreams. Is it fun? Heck yeah, we’re having a good time. Is it the best thing ever? I don’t think so. And, if this dream like scenario of having very little work like responsibilities and being able to do fun things pretty much every day isn’t the best, then what is? That’s the question that really excites me and if you’re interested, I hope to dive deeper as the blog progresses, both during and after our trip concludes. A couple posts back, I mentioned that J and I were seriously contemplating cutting the trip short. At the time, we had flown through the state and were consistently logging 3-4 hours in the car, followed by just 2 days at a location. No Bueno. Thankfully, this period of “travel negativity” passed and we able to spend nearly a week at our friend’s M & A’s place in Irvine. Tin E was parked outside on their street and we were able to live in a real (and gorgeous) home for a while. E and Lil D got to play with their girls, the adults got to chill on their patio out back (with wine) and life was good. We did this nearly every day and it was incredible. M & A said a couple of times, “we feel bad that we haven’t shown you much of the tourist spots,” and we would reply, “NO, just hanging out and enjoying the company is perfect.” I don’t think they ever believed us, but we were 100% honest. Overall, their generosity went above and beyond and we truly hope they will visit us in Maryland one day so we can return the favor. Leaving Irvine was hard, but we were leaving re-energized. It was hard, not because we were off to a bad place (San Diego was up next and no one calls SD a bad place), but because we knew our run of getting to see friends in Cali was coming to an end: In Yosemite and Sonoma, we were able to crash the vacation of our good friends’ E & J. In Los Altos, we were so fortunate to be able to drop-in on J’s old friend from college, K and her beautiful family, and they were so incredibly gracious to let us stay at their San Fran place as well. In San Jose, we caught up with J’s family and had a delicious bbq and pho throw-down. In Los Angeles, we saw my old buddy J and ate amazing kabobs with his wife and son and also had pool fun and dinner with J & J at their home. In San Diego, we had two great meals with J’s cousin T and her new fiancé. If you’re having trouble following all the initials, don’t worry, I am too. Just know we got to see a lot of great people in California and it made our visit to the state so rewarding.